Which doughnut reigns supreme all depends on which one you have had the most rewarding experience with. For the vast majority of people, that would be Dunkin Donuts, but a growing contingent is making their voice heard, and their doughnut of choice is Krispy Kreme. While both brands do have their undeniable strengths, there are various other factors that might come into consideration when making your choice. This comparison article should give you the "hole" story! The quality of a doughnut can be broken down into two aspects: its freshness when you buy it, and how long it lasts afterwards. In this regard, Krispy Kreme again takes top honors from Dunkin Donuts, with goods that are actually fresh when you buy them–definitely fresher than what Dunkin Donuts has on display. One other factor that doughnut lovers will take note of is how long the doughnuts last under regular conditions, and given how fresh Krispy Kreme doughnuts are right from the get-go, it is hardly surprising that they would last longer as well. Dunkin Donuts are only good for a few hours at most, while Krispy Kreme donuts have been known to last for a few days sitting in the box on the counter. For many people, donuts and coffee go hand-in-hand, so a point of comparison involving coffee only makes perfect sense. And in this regard, Dunkin Donuts manages to at least score a few points over Krispy Kreme. 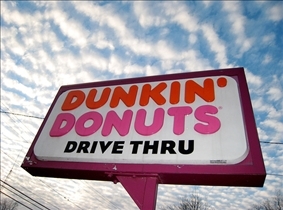 In fact, many people who wouldn't touch a Dunkin Donuts doughnut regularly pop in to get their caffeine fix. It is safe to say that if there is one thing that Dunkin Donuts has gotten right, it is the coffee. Krispy Kremes’ coffee isn't bad at all, but it definitely pales in comparison to Dunkin Donuts’ offerings. The ice coffee is simply not as creamy or as satisfying, and they are also a lot smaller. The Krispy Kreme practice of packing the already small cup in with too much ice also doesn't help matters any. Dunkin Donuts’ customer service is not always up to par and the traditional custom of greeting customers seems to have fallen by the wayside. There was also seemingly little interest in resolving customer complaints. Krispy Kreme wasn't that much better in this regard, and the staff seems to have been bitten by the same bug that has afflicted the Dunkin Donuts staff. Which doughnuts are the best? Nothing beats a fresh Dunkin Donuts doughnut. I'll take it anyday over Krispy Kreme. I don't know about you guys, but the DD at my area in Riverside, CA... Their customer service is superb and always seem to have many donuts on hand and also! The donuts are always made fresh. (Even though, I must agree they don't last long after 5-6 hours). The coffee tastes amazing and I'd take it over KK anytime! 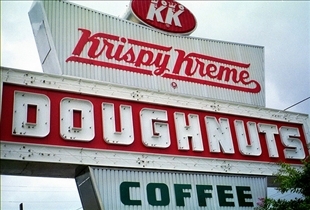 their donuts are way better at KK! I had been tasted both DD and KK .. KK are champion all the time . I tested both of DD and KK in few days by myself .. KK is the best of taste . Kk is more fresh that dd.kk Doughnuts 🍩 seam to taste better too. Let's hear it for why doughnuts we got circa WWII were so much better than now. The HOT NOW! sign says it all. Dunkin donuts take trucked in .. because they are. Plus, it is fun to watch the donut making process.